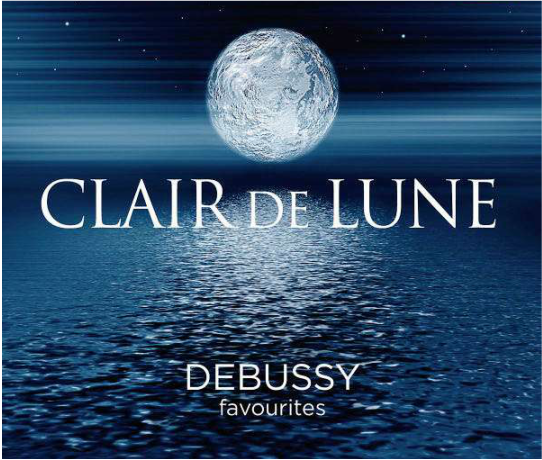 Claude Debussy was a French composer who linked music of the 19th-century romantic era with the 20th-century. 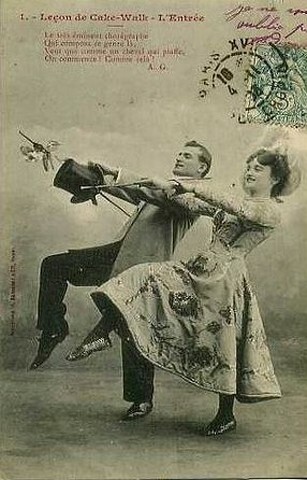 Many different musical styles coexisted at the beginning of the 20th-century. Debussy is important because he best represents the most important of these styles--impressionism. What is Impressionism and What Are Its Characteristics? In 1874, a group of French painters including Claude Monet, Auguste Renoir, and Camille Pissarro had an art exhibition in Paris. One of Monet's paintings used the word "Impression" in its title, and the term stuck. Impressionist paintings colorfully depict the joys of life and the beauties of nature. Up close, they look like formless collections of tiny colored patches. From a distance, however, the brushstrokes blend and merge into recognizable forms and shimmering colors. In music, impressionism is a style that stresses tone colors (individual sounds of instruments), atmosphere or mood, and fluidity (a flowing quality). 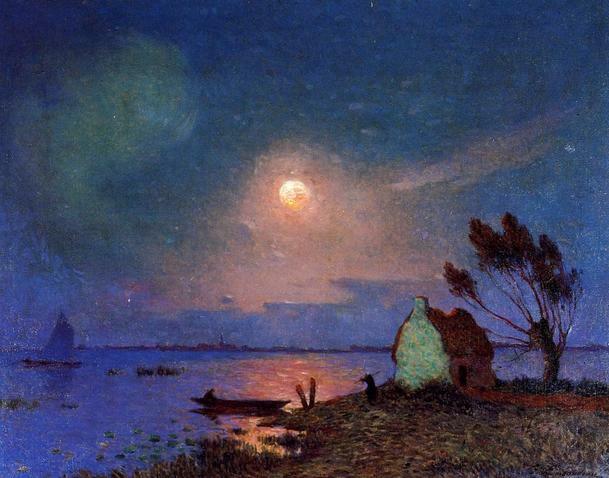 Like impressionist painters, Debussy's music evokes fleeting moods and hazy atmosphere. His music sounds free and spontaneous, almost improvised. This is a big difference from the large, full, and blended orchestral sounds of the late 1800's. Originally written for piano, Claire de Lune creates a musical picture of still water in the evening. From age 10 until he was 22, Debussy studied at the Paris Conservatory, a prestigious music school. His teachers regarded him as a "talented rebel". His style of writing was influenced by several visits to Russia and his lifelong interest in Russian music. He was also influenced by the Asian music performed at the Paris International Exposition of 1889, which was like today's World's Fair. 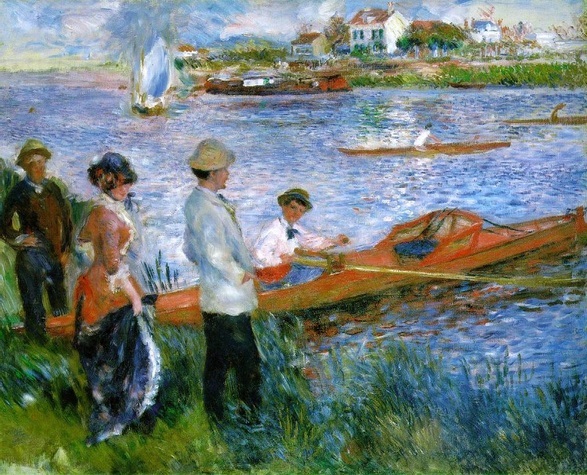 Debussy's music evokes similar types of images found in works by impressionist painters such as Renoir, Pissaro and Monet. According to Debussy, "the music of this Prelude is a very free illustration of the beautiful poem by Stephane Mallarme, The Afternoon of a Faun." The poem describes the dreams and fantasies of a forest creature who is half man and half goat. He plays a long solo on a flute while trying to recall if his dream was real or imaginary. Exhausted, he falls back to sleep in the heat of the afternoon sunshine. Debussy's new sounding music featured subtle woodwind solos, muted French horn calls, and harp glissandos. This creates a rich variety of delicate sounds. The dynamics (loud or soft) are usually soft and subdued. Rarely does the entire orchestra play at one time. The music often swells then subsides, creating a continuous ebb and flow. The rhythm has a vague pulse that is often non-existent. We are never tempted to beat time to the subtle rhythm. This makes the music feel dreamlike and improvisatory. 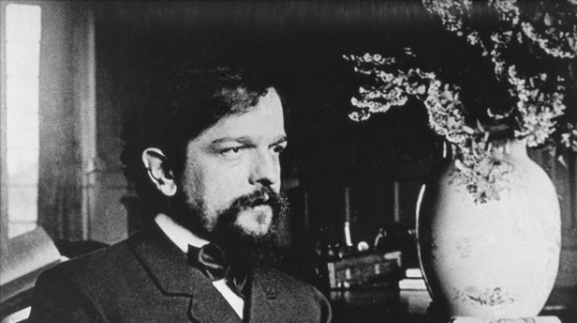 For years, Debussy led an unsettled life, earning a small income by teaching piano. 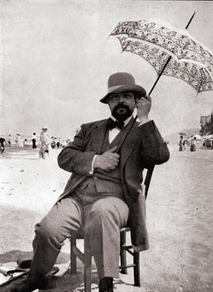 His friends were mostly writers, and Debussy often attended their literary gatherings, called "salons". At this time, he was not known to the musical public and not completely sure of himself as a composer. It was not until he wrote an opera in 1902 that his career took a turning point and he became recognized as the most important living French composer. 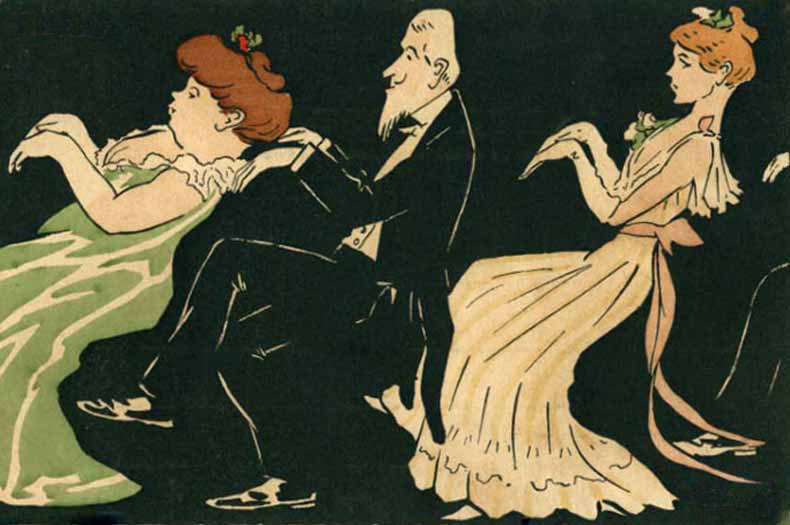 The cakewalk was a dance, or a strut, popular in the early 1900's, and the dancer with the most elaborate steps won a cake. Golliwogs were a type of stuffed doll popular at the time. They were large with red pants, red bow ties and wild hair, similar to the performing minstrels of the time. This is a ragtime piece with syncopation and banjo-like effects. The wide range of dynamics makes it very effective. Debussy led a life filled with financial and emotional crisis. He constantly had to borrow money because he had a craving for luxury, but not the income to support his way of life (sort of like people living in credit card debt today). Debussy was not gifted as an orchestra conductor and he hated appearing in public. To maintain his high standard of living, he performed on concert tours and presented his music throughout Europe. He died in Paris in 1918. Reverie was one of Debussy's first solo piano works to make an impact. Even at this early stage in his career, when he was still working out what kind of composer he wanted to be, it's clear to see characteristics of the composer's signature sound. This piece is a meditation that suggests daydreaming or reflection upon thoughts. A gently repetitive rhythm creates a lulling sensation. The calm melody suggests a sleepy, dream-world. The texture of the music becomes increasingly richer and lush. 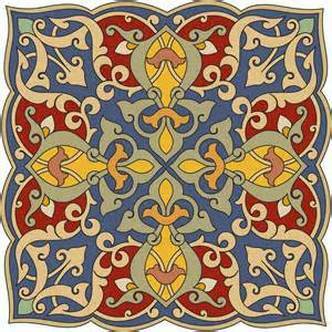 An "arabesque" is a continuous, seamless, swirling pattern that seems to have no interruptions within itself. It is commonly found in artwork, fabrics and architecture of middle eastern cultures of northern Africa and India. It can be seen in architecture and patterns from the Baroque period of Johann Sebastian Bach, and it is one of the characteristics of Bach's music. Debussy wrote two Arabesques early in his career that contain hints of his developing musical style. His view of a musical arabesque was a line curved in accordance with nature. 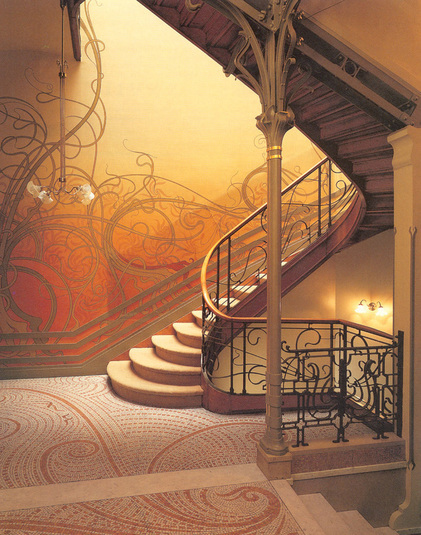 His music mirrored the celebrations of shapes in nature made by the Art Nouveau artists of the time. 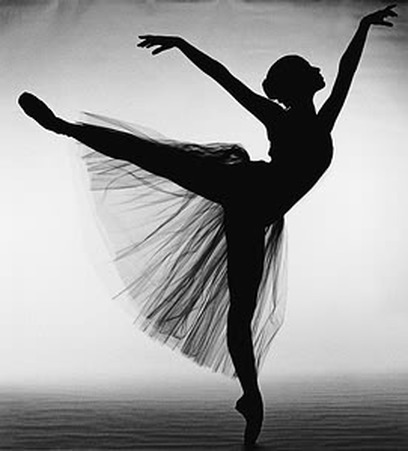 The Arabesque No. 1 is like a free-flowing fantasy without pause. Like much of Debussy's music, it is quiet and beautiful. There is no recognizable melody, but rather, an atmosphere of calm relaxation.